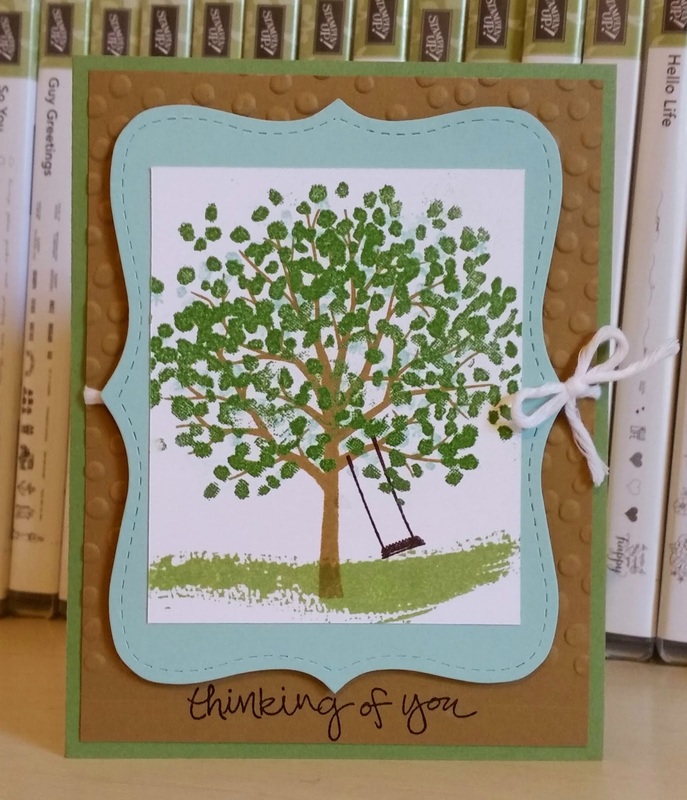 I really love the look of the tree but it was hard to decided how I wanted to design the card for class. There were so many colors I have seen used for the tree and leaves but finally decided to heat emboss with Wild Wasabi green. 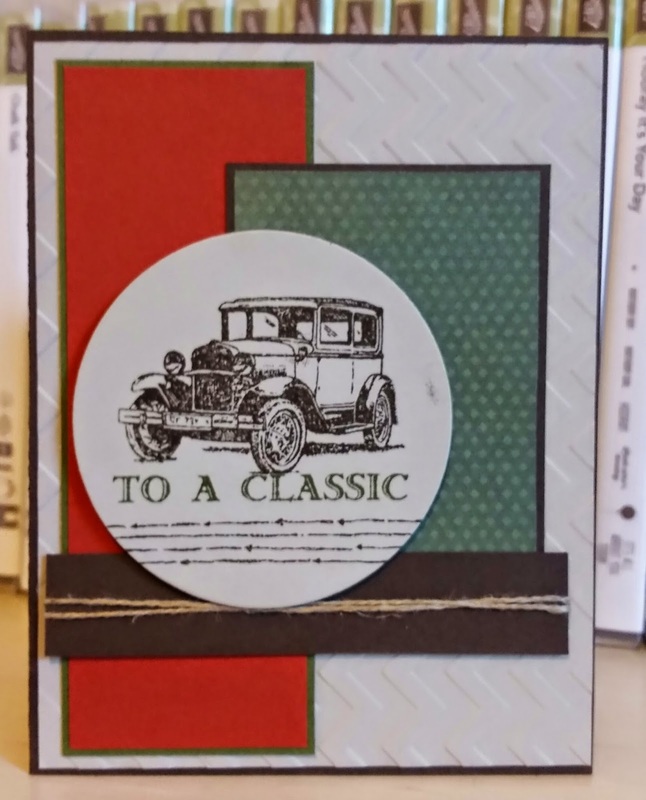 I added with one of the dot stamps in the set some Pool Party after the embossing was dry. I decided to pull out my Top Note die which is not used enough! I have not used Island Indigo (one of my fav SU! colors) in a while so I started with that base and gathered colors from there. Still love the Kinda Eclectic stamp set and need to use it more often as well! Maybe for April's card class. 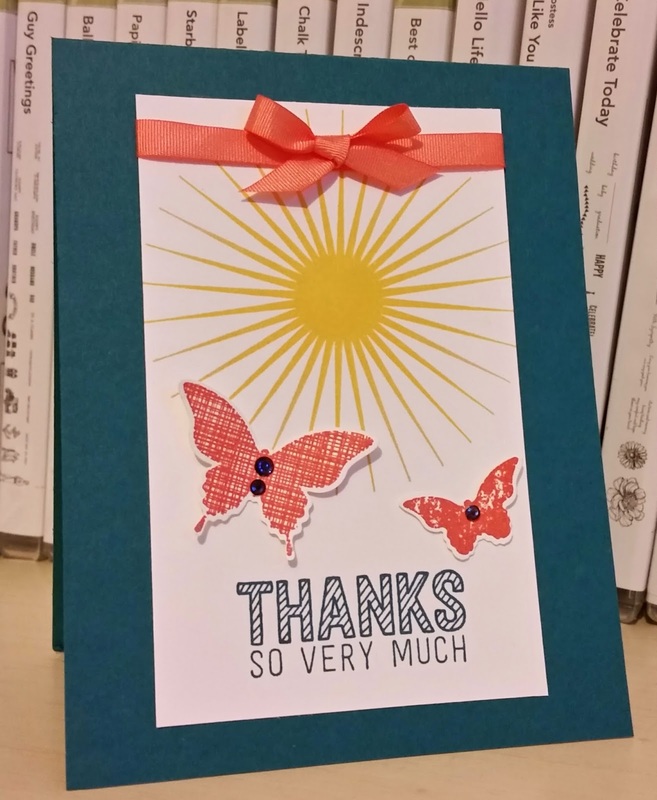 I also needed a few more thank you cards in my stash so decided to pull out a new set I have only used once called Simply Wonderful. 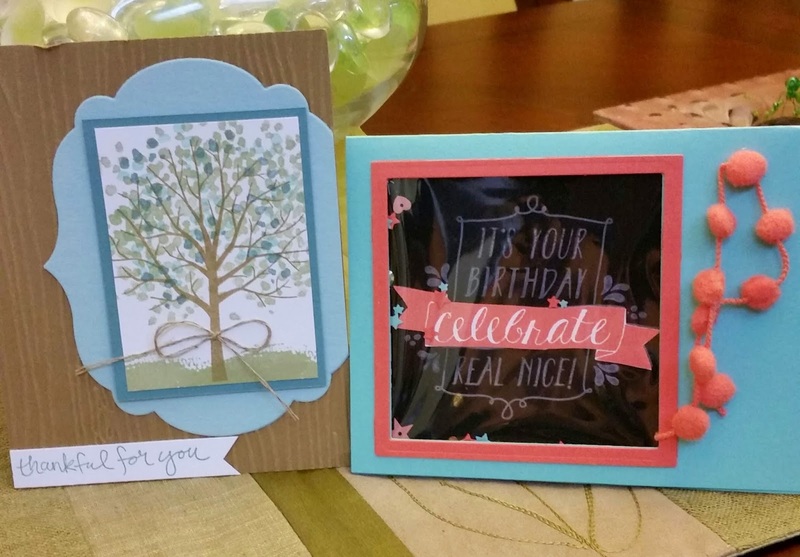 Sale-a-bration(SAB) is still going on and this set is free with a $50.00 order through March 31st, 2015. I could not stop coloring these flowers! Used same colors as yesterday's post and love with the frame look! I love these words and though might look good cut up and separate! Thanks for stopping by! Now head over to palspaperarts.com and play along! Card 3 for March card class and our Easter card! I usually do not use the Melon Mambo color for anything and I have not used my blendie markers in this color until now. I think them dark and again since I do not usually reach for this color, they have not been on my radar. However, I reached for them for this card and very happy I did! 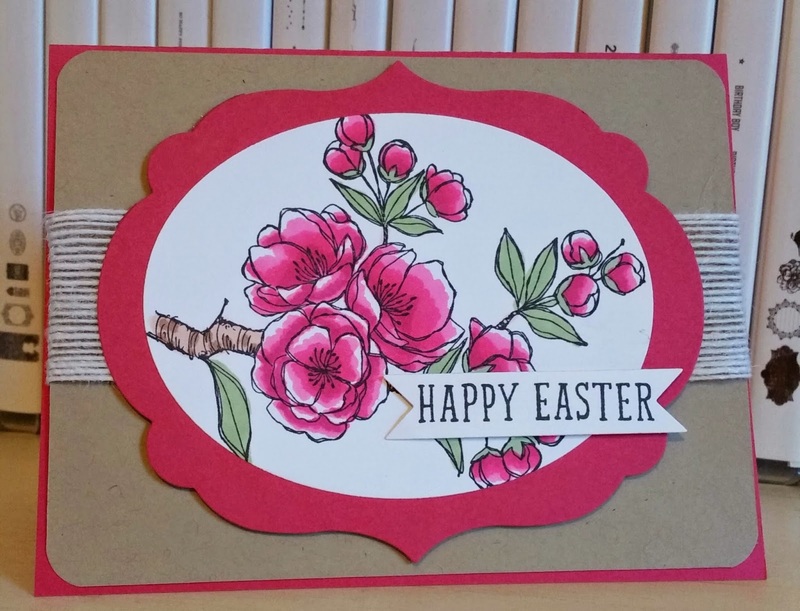 They were the perfect color for what I had envisioned for this card and Easter! 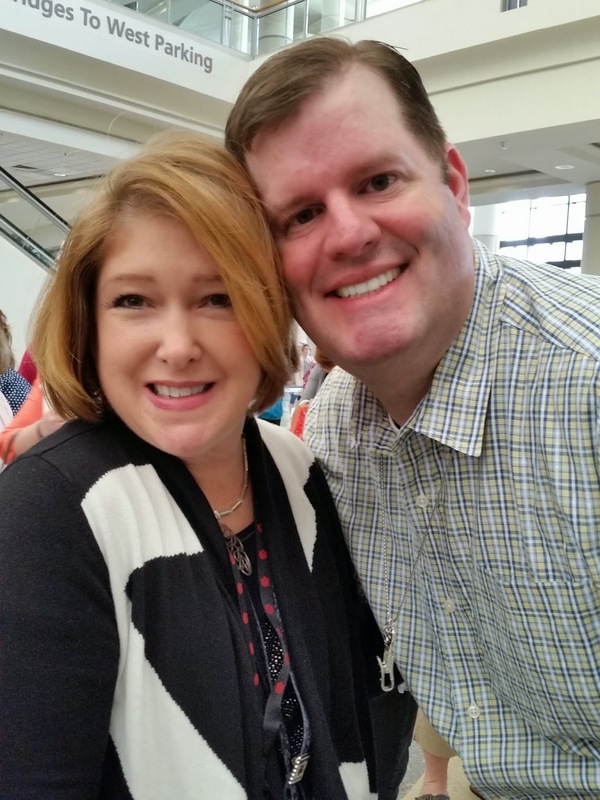 I spent the day Saturday at my friend and fellow Pretty Pal, Patti's house! 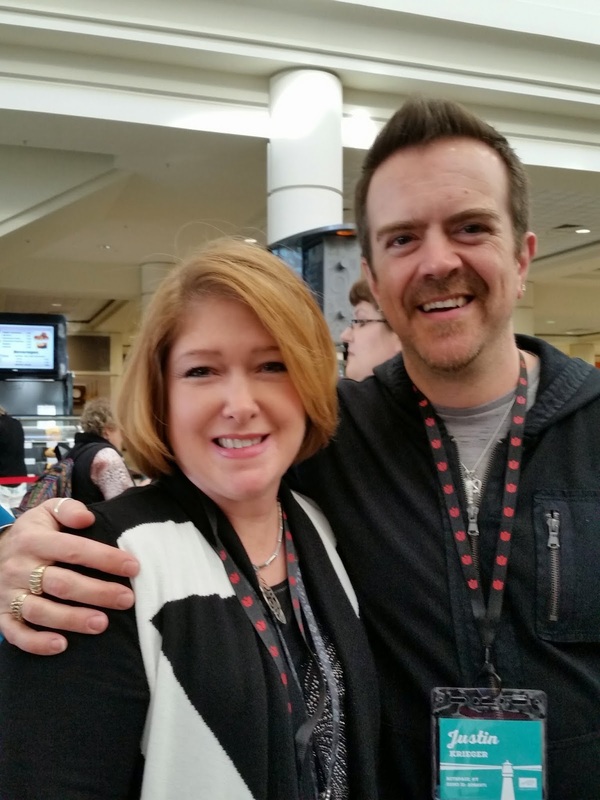 We stamped and went to lunch and then stamped some more! 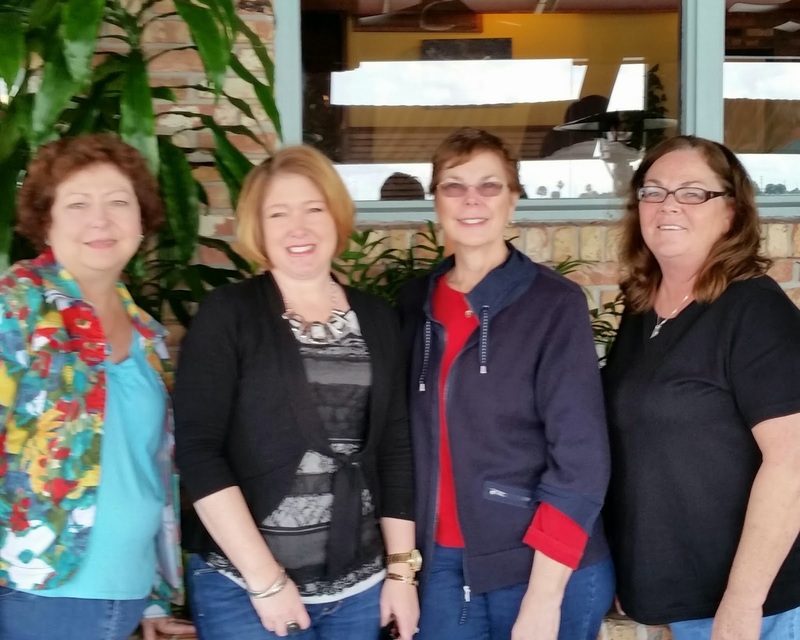 Jackie, me, Paula, and Patti at the Riverview restaurant in New Smyrna Beach. 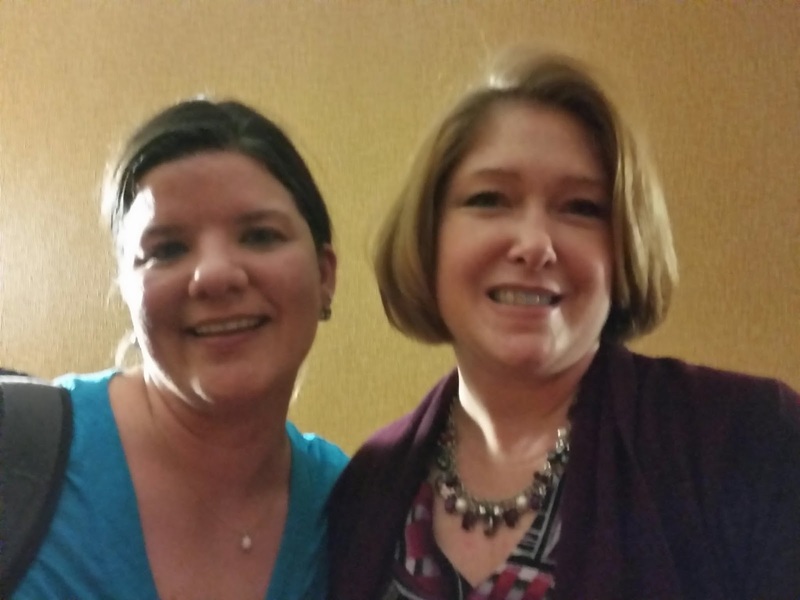 Paula drove down from Myrtle Beach, SC to join us! Thanks to Patti for hosting a great day of fun and fellowship! 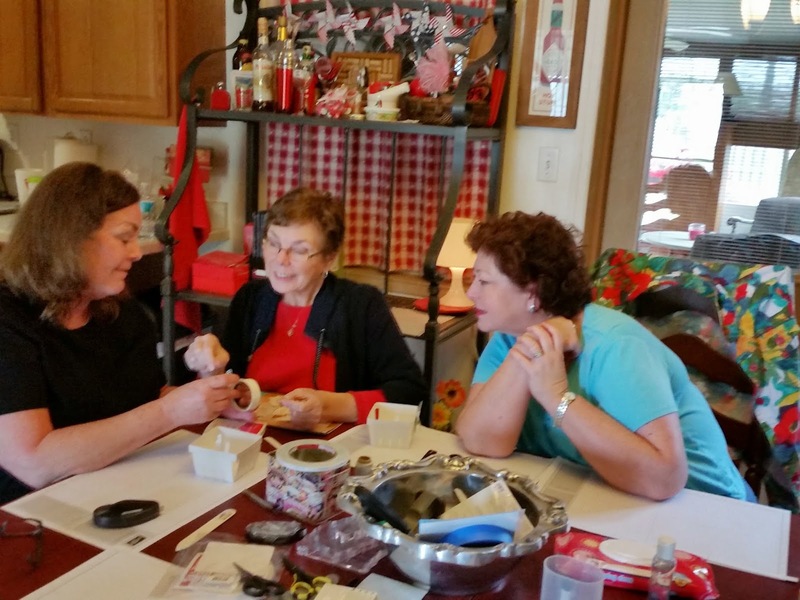 Paula is instructing us on making the berry baskets. 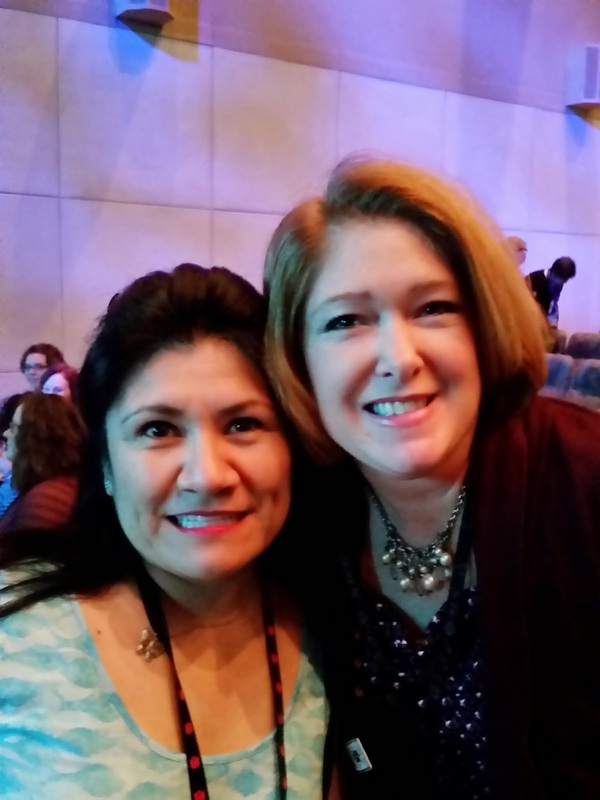 Here are Paula's and mine! 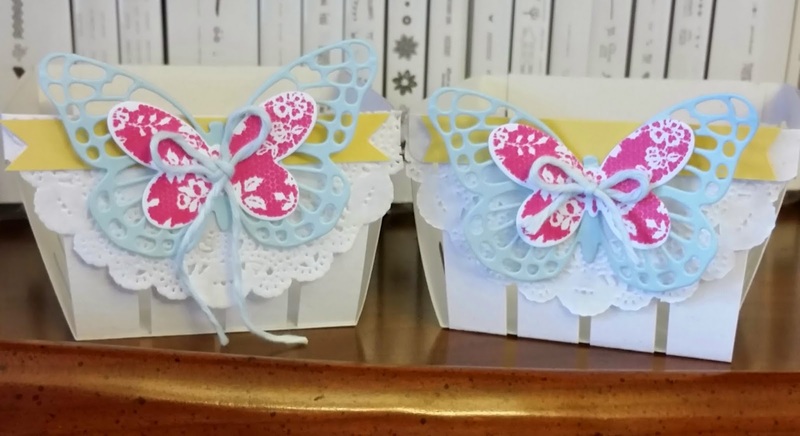 We also played with the Tiny Treat boxes on page 5 of the Spring catalog. 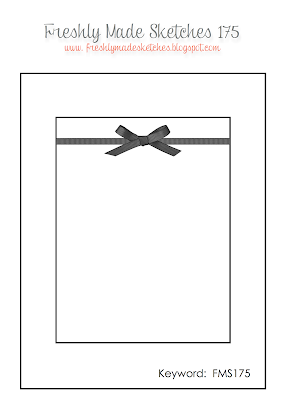 You receive 25 of these 2' x 2' x2' boxes for $6.95. We put Hersey kisses in the HB boxes and decorated it with the Balloon Bash set and Birthday Bash DSP. 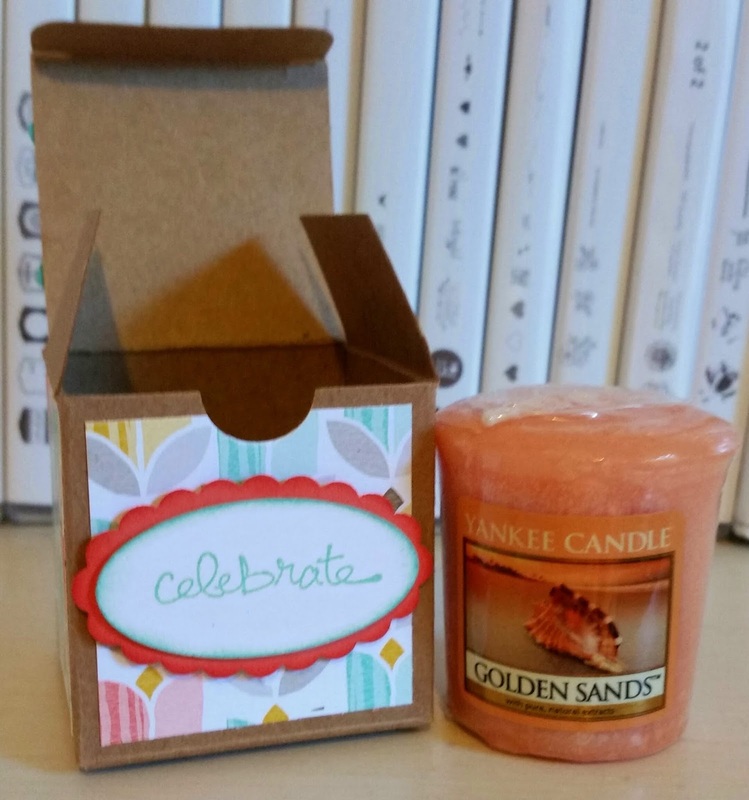 This is the box Paula gave me for my birthday with a Yankee Candle votive in it. Yes, something besides candy does fit in these boxes! This happens to be one of my fav scents, too! Finally here ate two cards we made while there. We played around with the bow punch I just got last week and liked it on the sketch. I knew what DSP I wanted to use but then struggled too long with colors here. In the end, I am happy with the card! 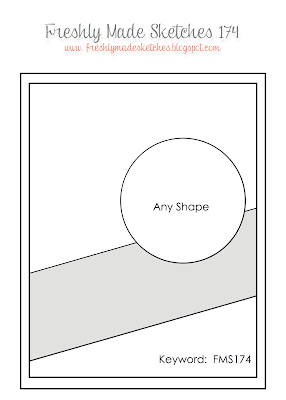 I used a stamp from Chalk Lines to the bottom of the circle because it just needed something else and I like the fit! I got a finger print on it after I finished but I just said..."oh well!" and took my pic! 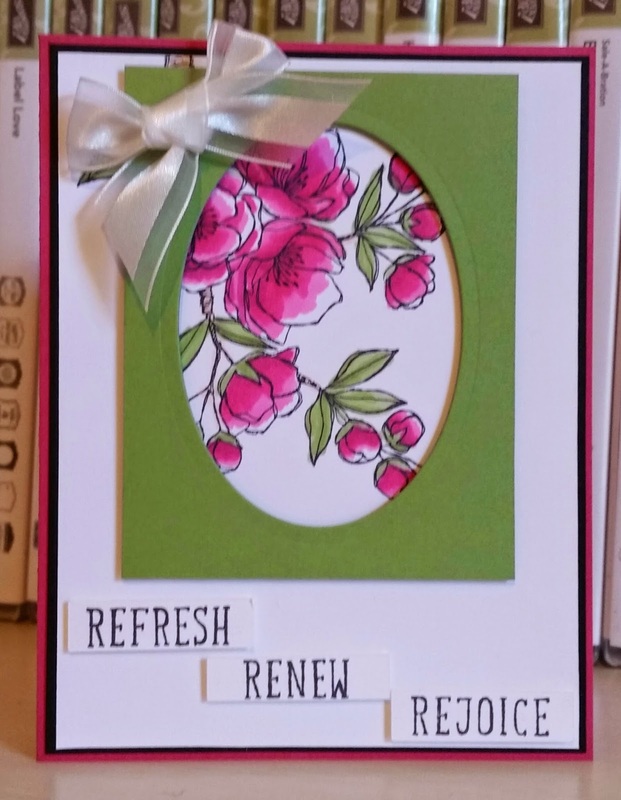 First card for card class for March. Love the bright colorful elements here! I also love the little marks on either side of the HB. They look little splashing/squirting water! Playing with my Painted Petal set. I really love the set but need to PPP (practice petal placement)! Color color combo of Sahara sand, Perfect Plum and Blushing Bride! I had yet another butterfly already cut from a class last month so started the color combo from there. I just received this week my jute ribbon. I really love how it can go with any colors. I decided to leave this without a sentiment on front. 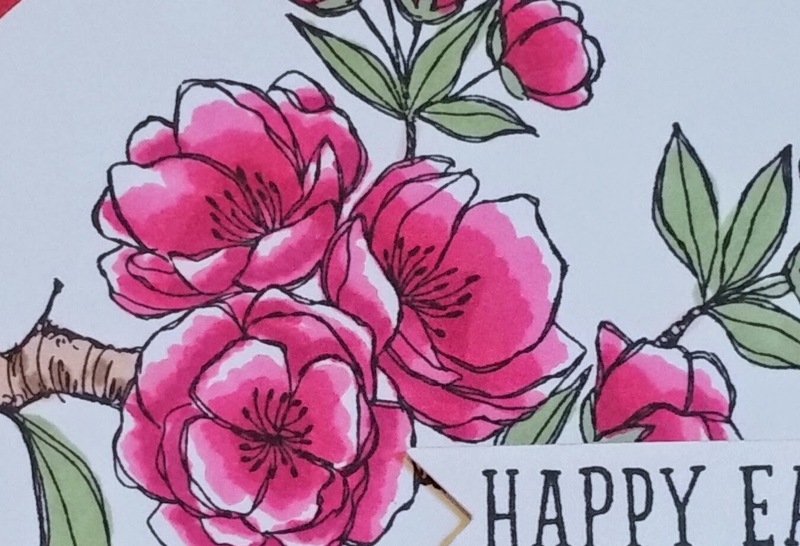 I will probably use it for a thank you card since I need to send several after my birthday! Wow, no ink or stamps! Thank you for stopping by and Happy Friday to You! PPA240 Happy Birthday To Me! Yes, I am a little older today! 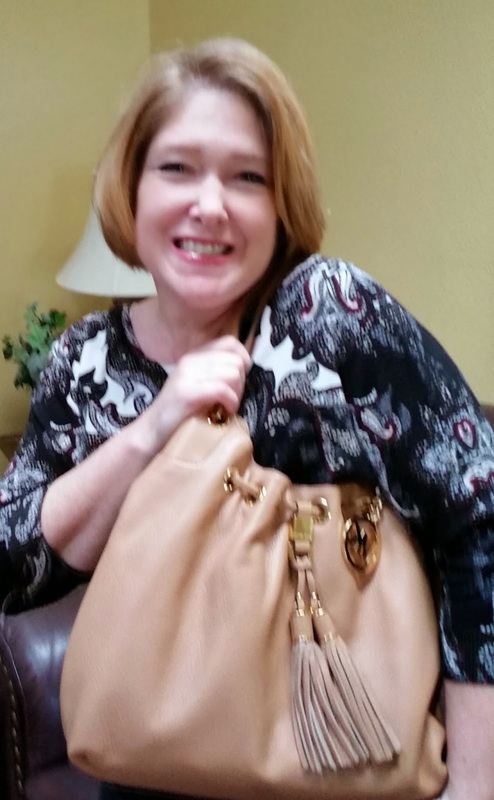 Here's a pic of me with my new bag! I ordered it for my present and when it came I started using it right away....that's how I roll! 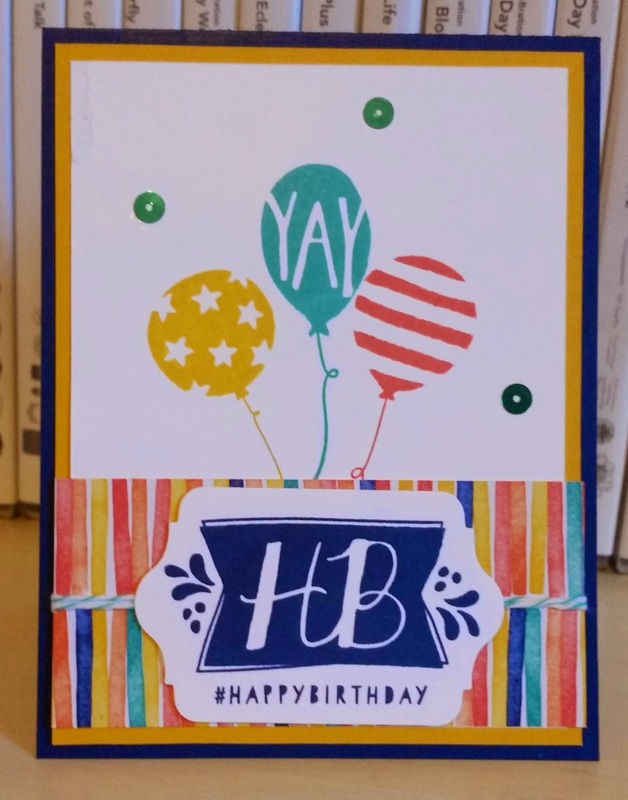 When I first saw this sketch, I thought about birthday balloons and wanted to make a card with the Celebrate Today set and three balloons but then realized a friend borrowed that set. My Best Day Ever set was sitting there unused and calling to me. 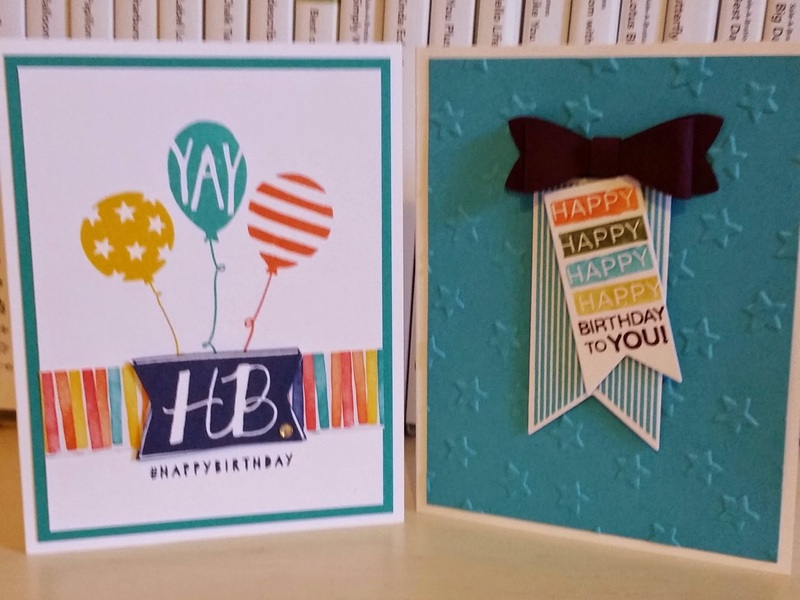 Great decision since have matching paper and accessories so card came together quickly! He did some blue roses with the Artisan Embellishment kit last month and I have been waiting to try it! I used one of the two small stencils that come in the kit. I sponged Pink Pirouette then Crisp Cantaloupe and last some Calypso Coral right in the center of each flower. So easy and clean & simple, too! Well, I knew what bird and set I would use when saw this challenge! I decided to add a doily. 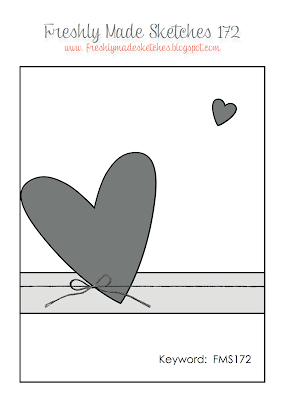 I think of it after I assemble a card. This time i remembered to use my stash of doilies before finishing the card! I would have sponged it some with ink but had already done so with the newsprint. The Soft Sky was coming off darker than I wanted but went with it. I hope you have a special Tuesday and thanks for stopping by! 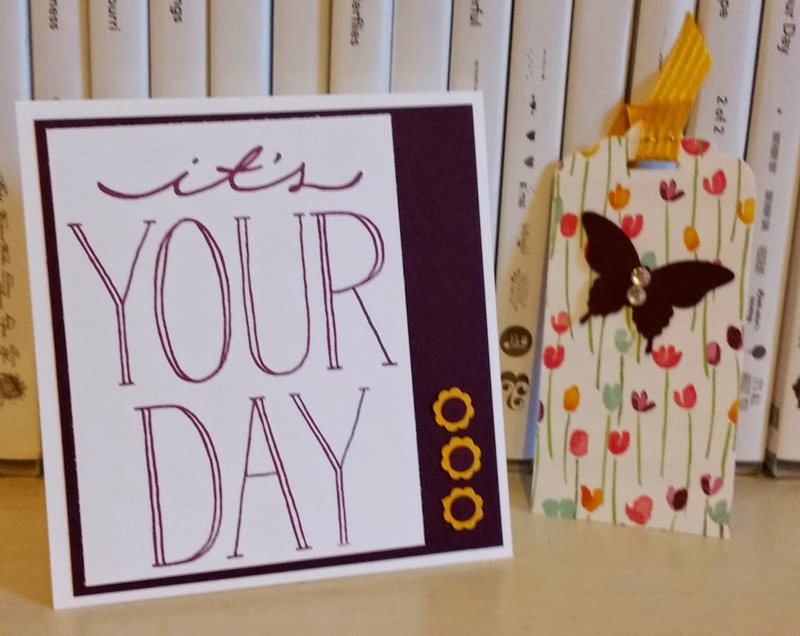 This is a card I received from one of my customers this weekend, Nancy Maurer! I gave her the Lotus Blossom set as a thank you and for fun! Was not expecting her to make a card for me! 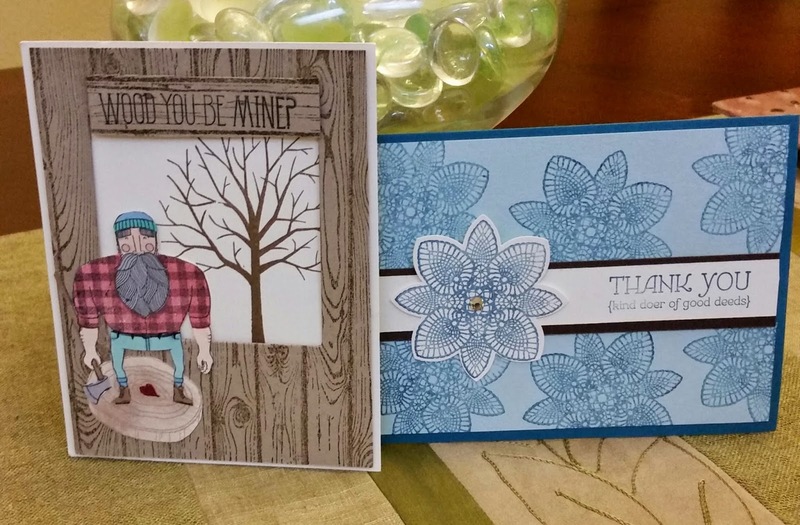 She did a wonderful job with colors and the embossing. Really love the color Lost Lagoon with this set! Love these two swap cards I received at leadership a few weeks ago. I am buying the set next month with the cake! 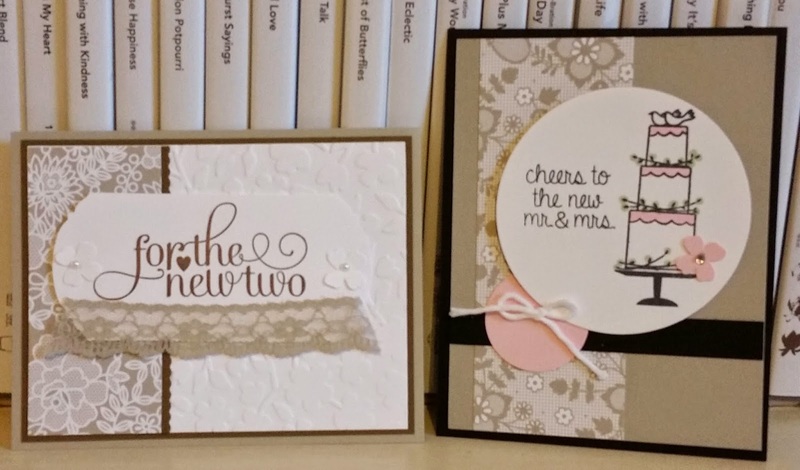 The DSP called Something Borrowed is beautiful! 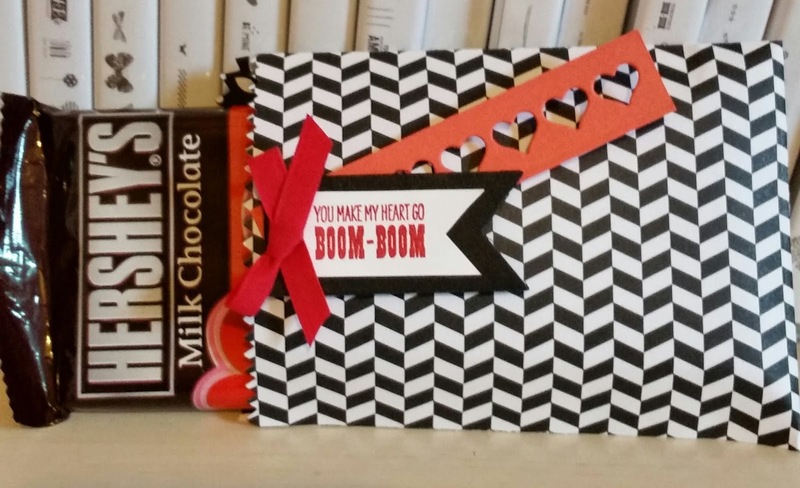 Sweet card and surprise inside! I received this card at leadership a few weeks ago for a general swap. I just took it out of the clear envelope it came in to take a photo and inside was a cut two sided book marker! There was no name but thank you who ever you are for the surprise! I got a little dizzy when first saw this sketch. 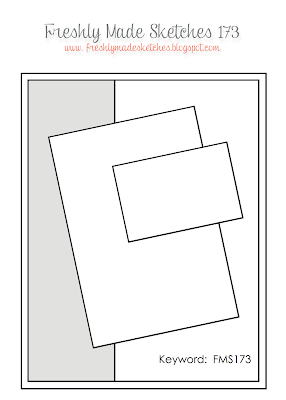 I saw it on my phone and it looked like it was moving. Weird! But like the sketch and just happen to have my new set called Balloon Bash sitting on my desk ready to go! 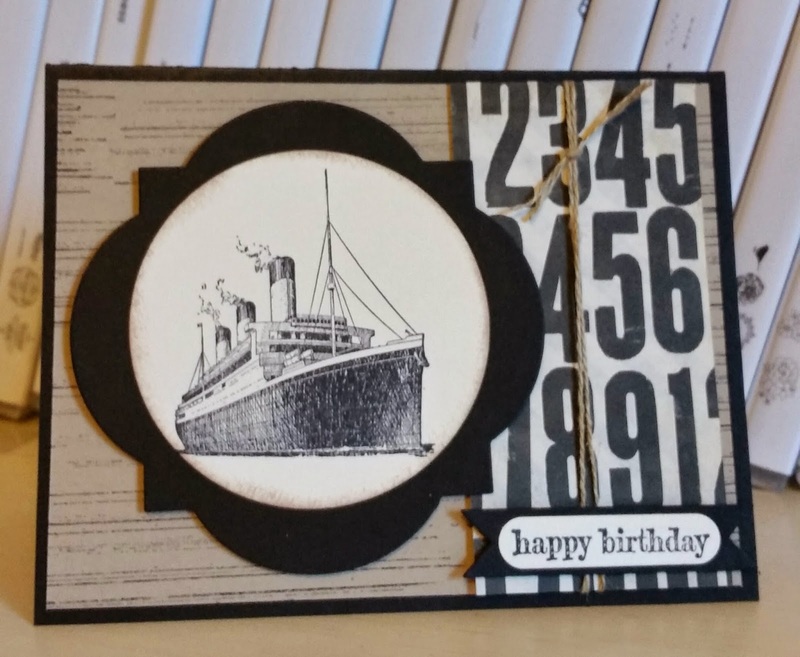 I stamped in Night of Navy on Crushed Curry card stock. 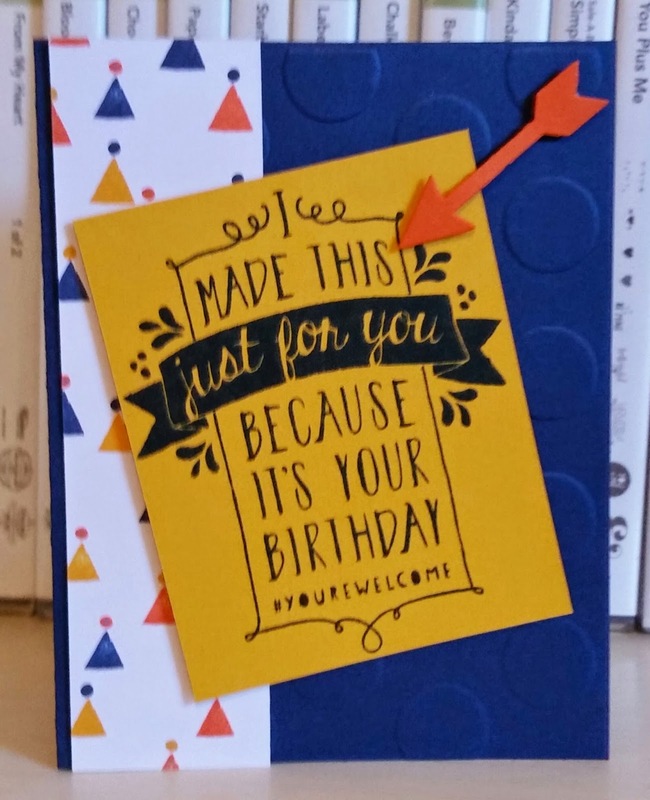 Added an arrow for pointing to the "I made this" part of card! Have a blessed Friday and a wonderful weekend! 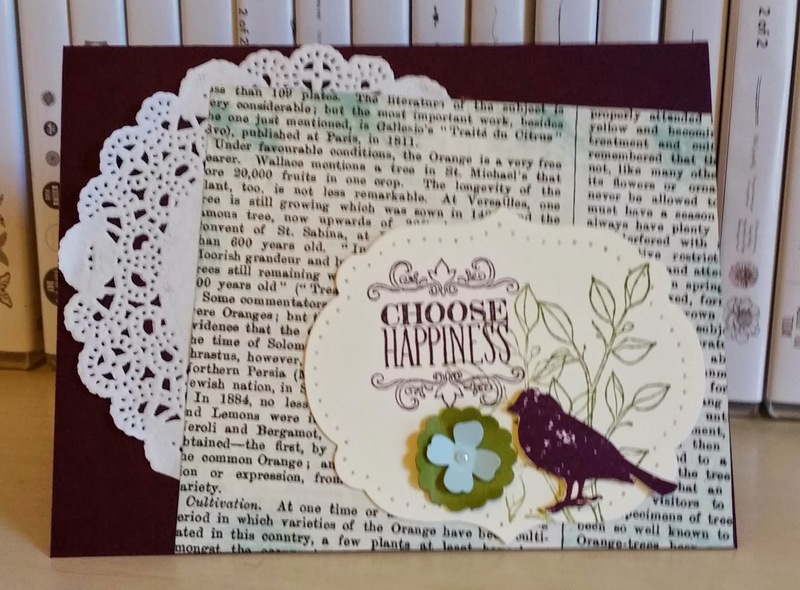 As soon as saw these colors together, I thought vintage and The open Sea stamp set. 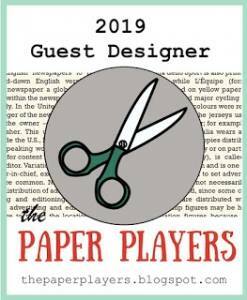 However, I went to pull the set and next to it was the set Traveler and I knew right away what I was going to design. 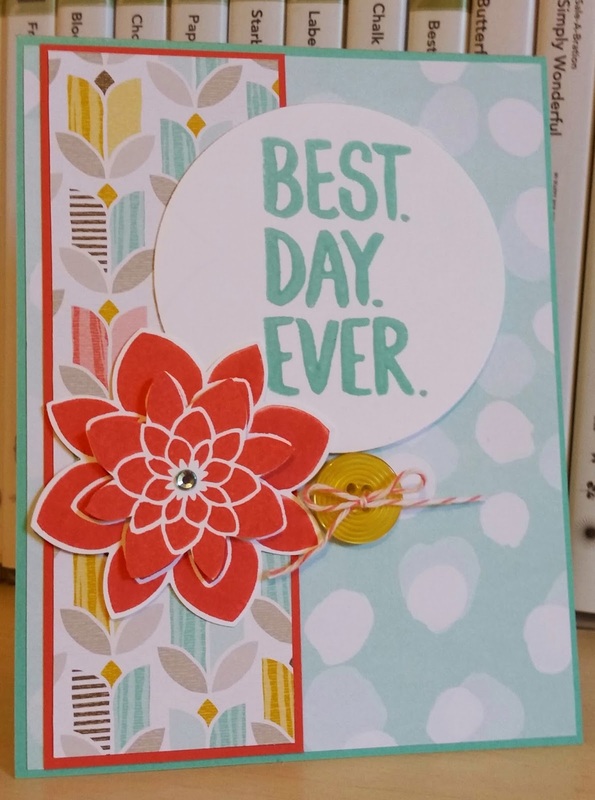 I am so shocked at how fast this came together from just looking at colors and grabbing a stamp set! Love when that happens! 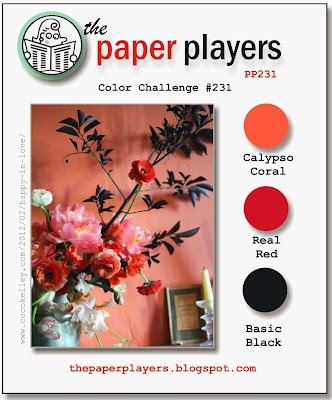 Please play along with the color challenge this week over at Pals Paper Arts! 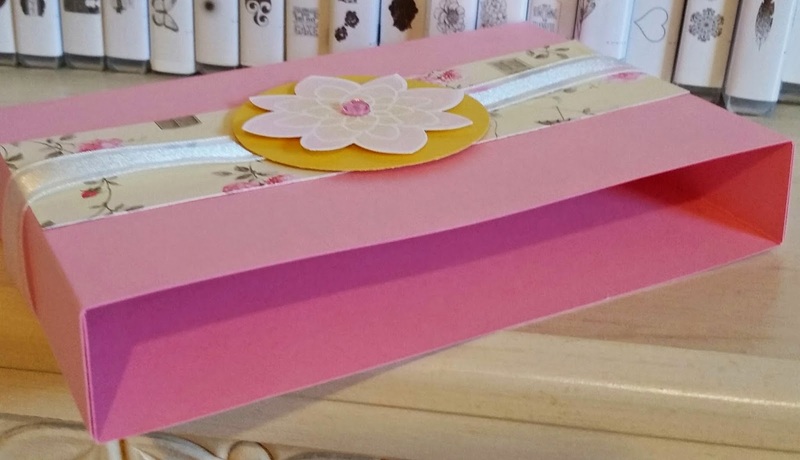 I made these Pretty In Pink boxes for my card classes this week to carry their cards home! 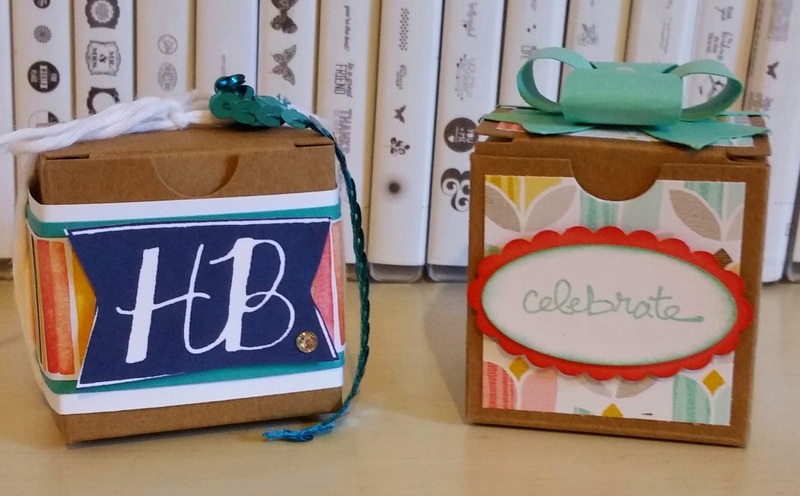 Very easy open ended box and holds 10 cards and envelopes. Happy Wednesday to you! Thanks for stopping by! 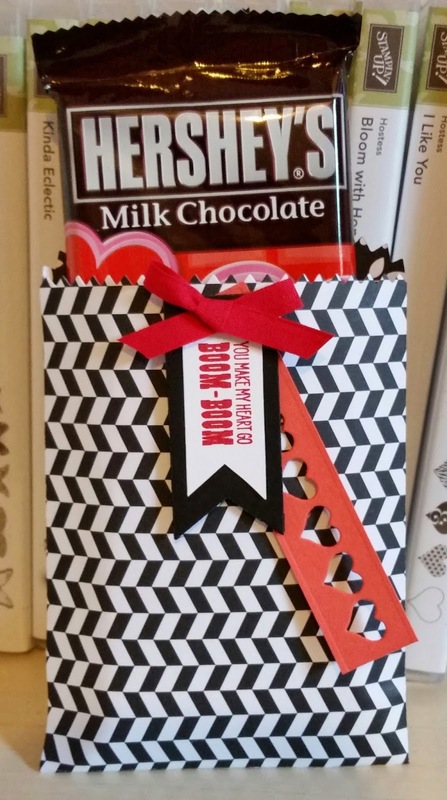 I decided to use the color challenge to make a holder for my son's chocolate bar for Valentine's Day! Yes, I used the mini treat bag thinlits dies and the banner framelits dies. Also used the sentiment from Groovy Love and Back to Black DSP. I hope you have wonderful Tuesday and thanks for stopping by! Love this set..mostly for the sentiments! I do like the flowers and need to practice more on matching them match up with leaves. Happy Balloon Birthday To Frenchie! Happy Birthday To My Friend Frenchie! Last Card for card class this week! 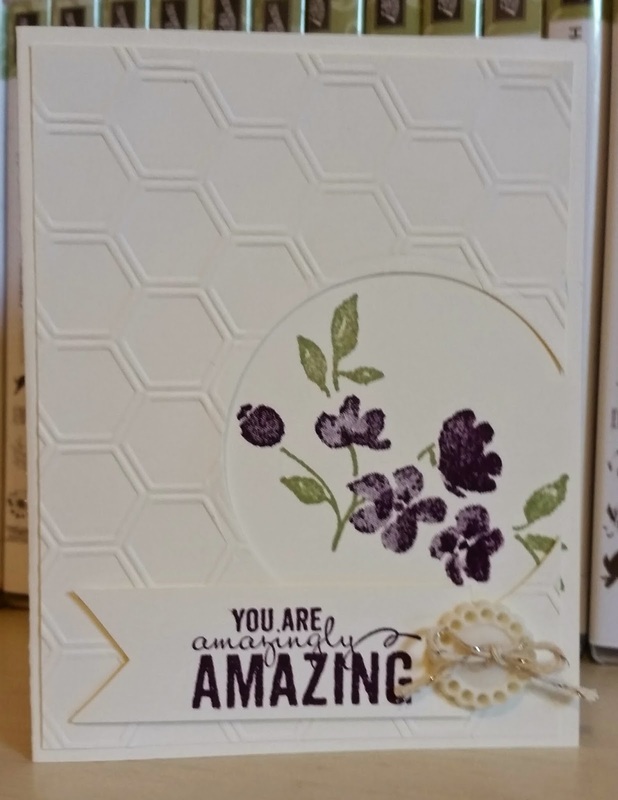 There is so much you can do with the new stamp set called Celebrate Today. 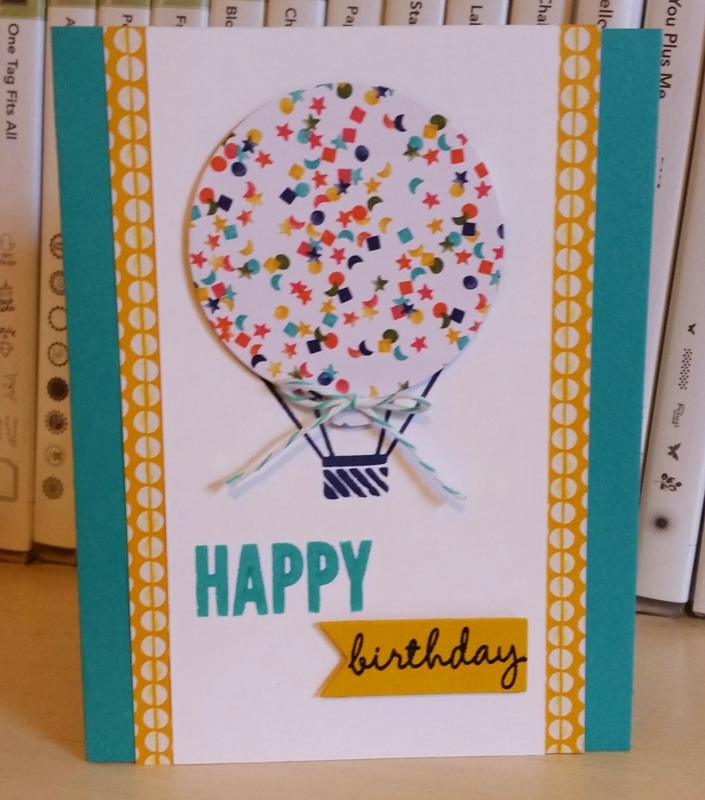 It has three dies that coordinate and I choose to make a card with the hot air balloon and the Birthday Bash DSP! Love the bright colors! The panels on either side of the balloon are also DSP from the same pack. I hope you have a Fun Sunday and thanks for stopping by! I needed to think masculine for a while since I had been playing with so many flower and butterfly sets lately. 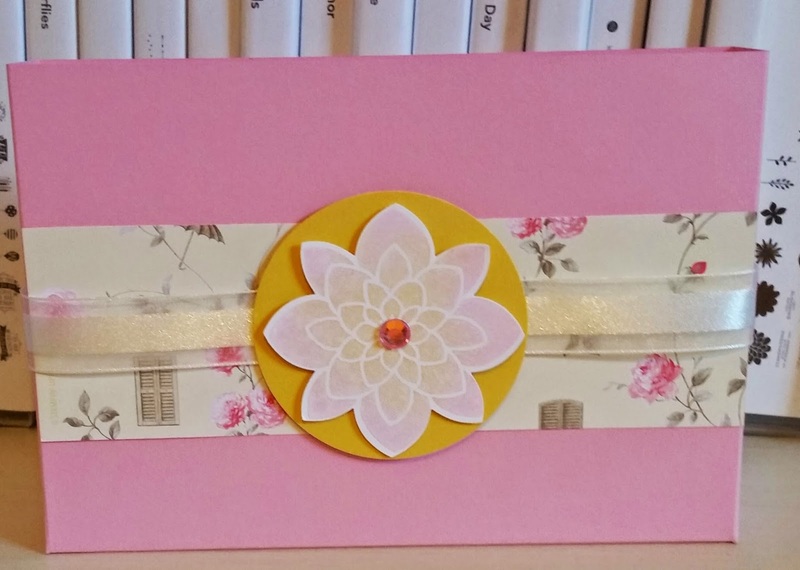 This is the fourth card for card class this coming week! I have been hoarding my Typeset DSP and thought it was time to pull some out. I did use the lines from Gorgeous grunge to make a background on the Crumb Cake! Fun to try a new look and will use it again! I loved the Petal Potpourri because in the catalog SU! 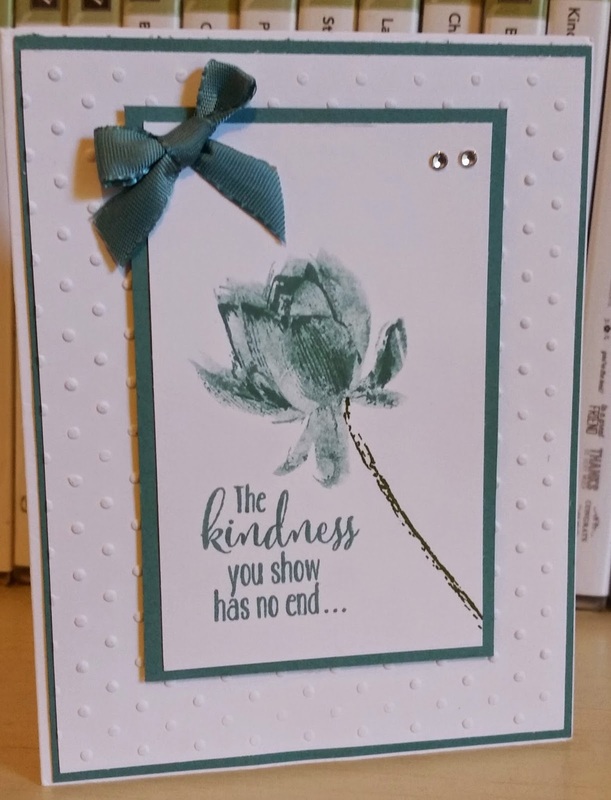 used the lace flower to make a doily effect like I did on this card and I could not wait to try it. I like how the yellow pops with the white and grays. I used the round dot from the set to make the bottom background. 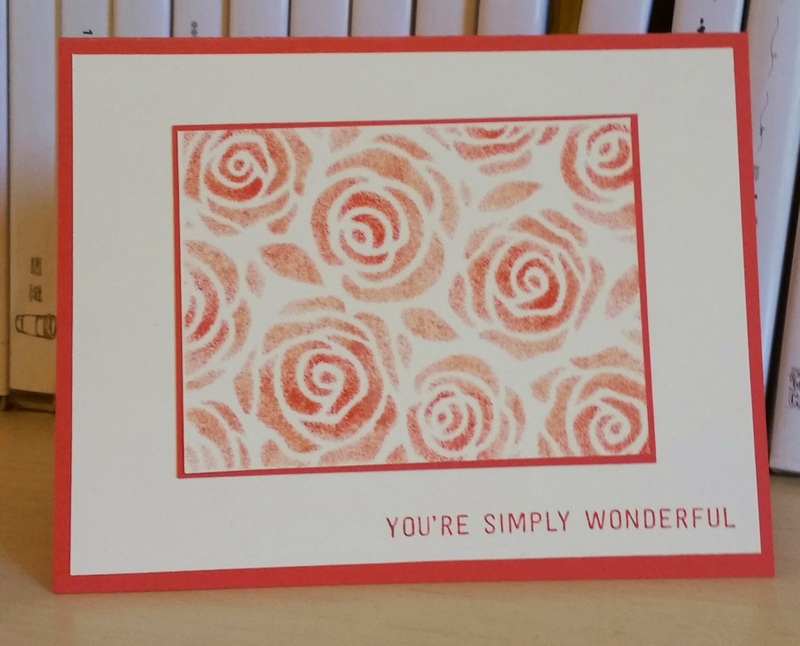 I used the word Sunshine from Crazy About You stamp set which I knew I would get. But I was not sure about the Hello You thinlits dies they bundled the set with. But I have seen so many cute things using them that I broke down and glad I did! Thanks for stopping by today! Hope you have a blessed Friday! I am off today to Tallahassee to see my college girl for a few days. I can't wait to hang with her! 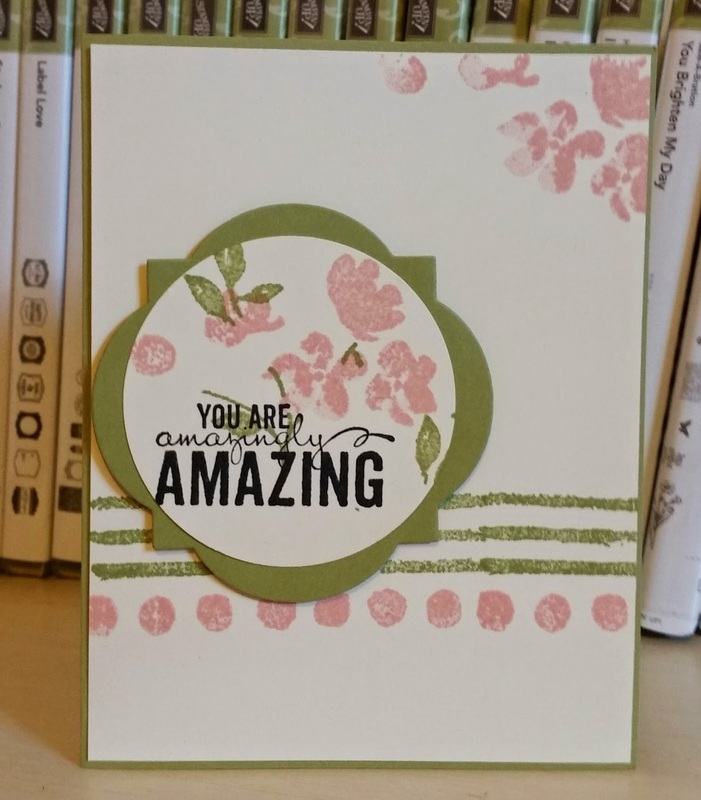 My first time playing with the new background stamp called Something Lacy! Love it! 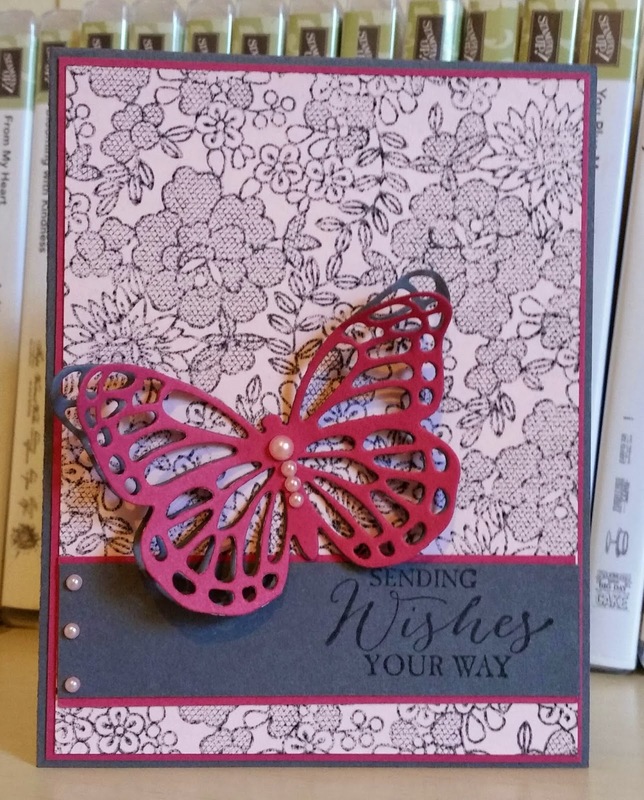 I stamped on Pink Pirouette with Basic Gray ink. 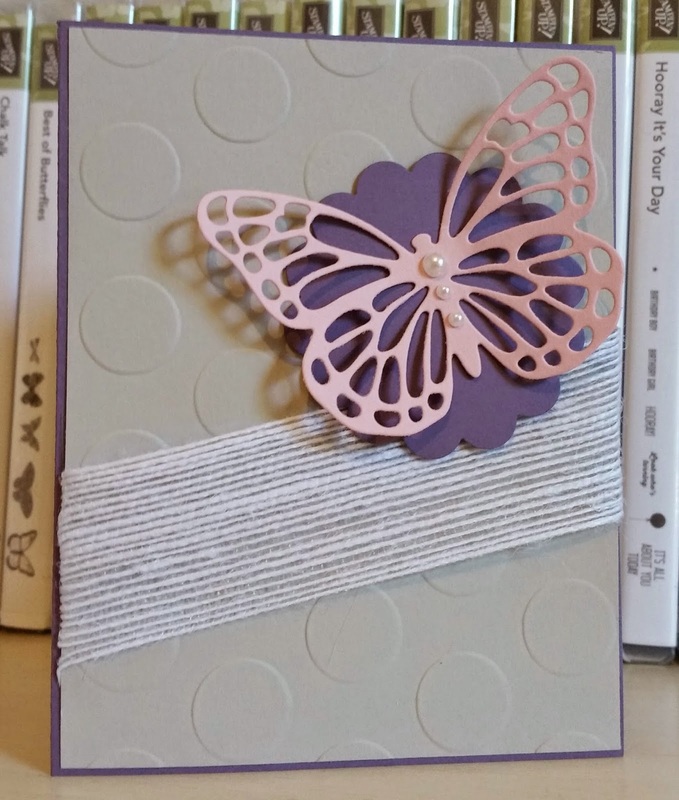 I added two butterflies cut out- one in Rose Red and the other in Basic Gray to give a layered shadow look! 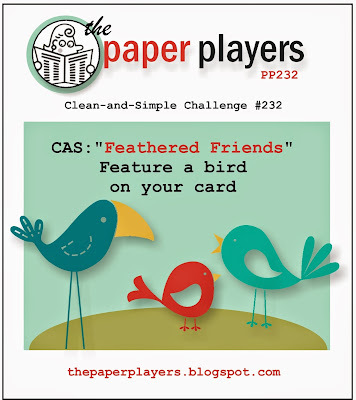 I hope you have a lovely Thursday and join the Pals color challenge this week! First there was much free giveaways and gifts..some pictured above. 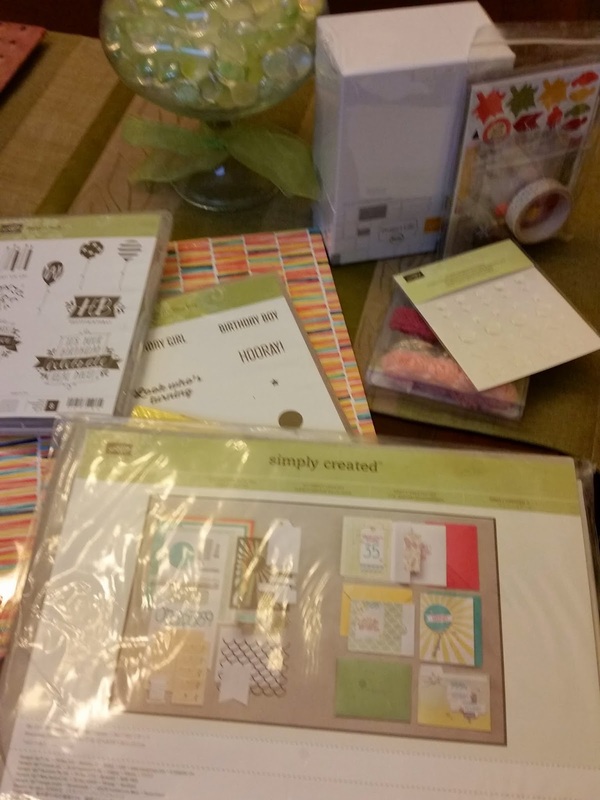 Stamp sets, Project Life and kits, oh my! 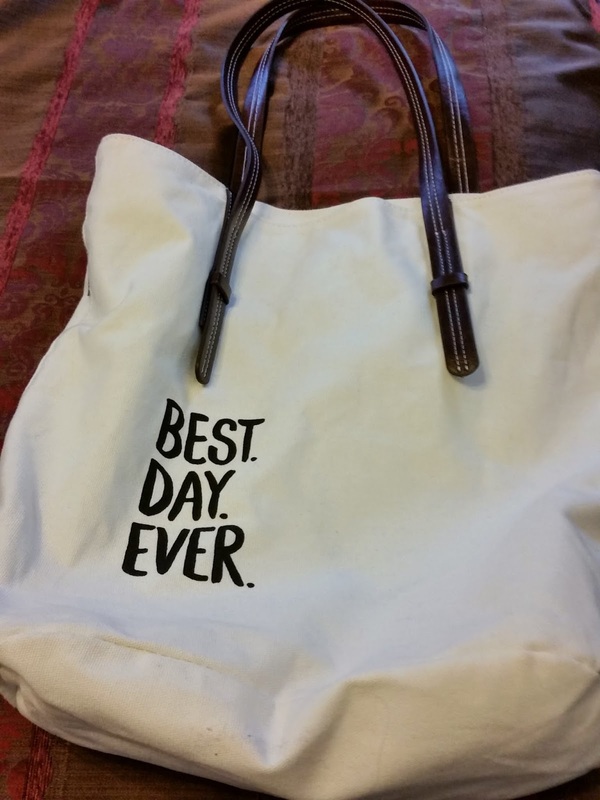 Of course below is the great tote we received when we checked in on Thursday am...love the canvas! But the friends aka Pals so made the leadership conference special. 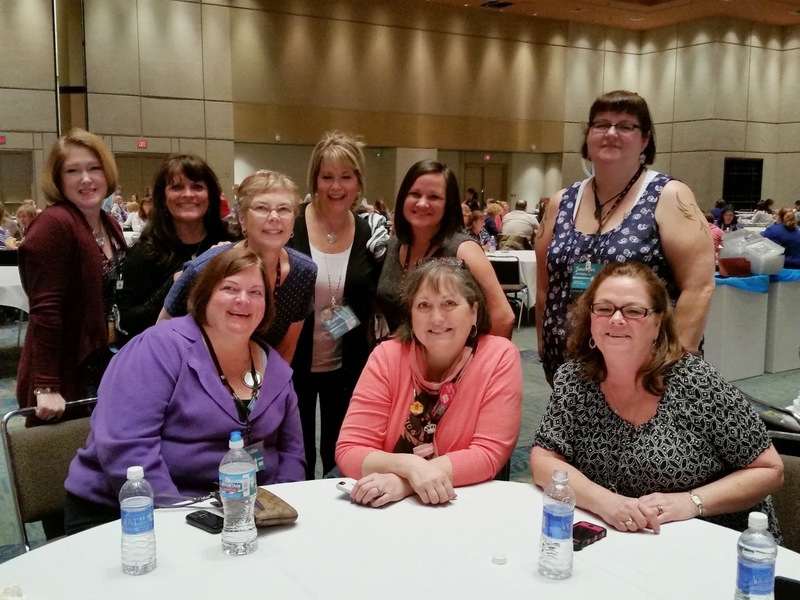 Very happy to meet new Pals and see some I have not seen for a while.